We are hiring! 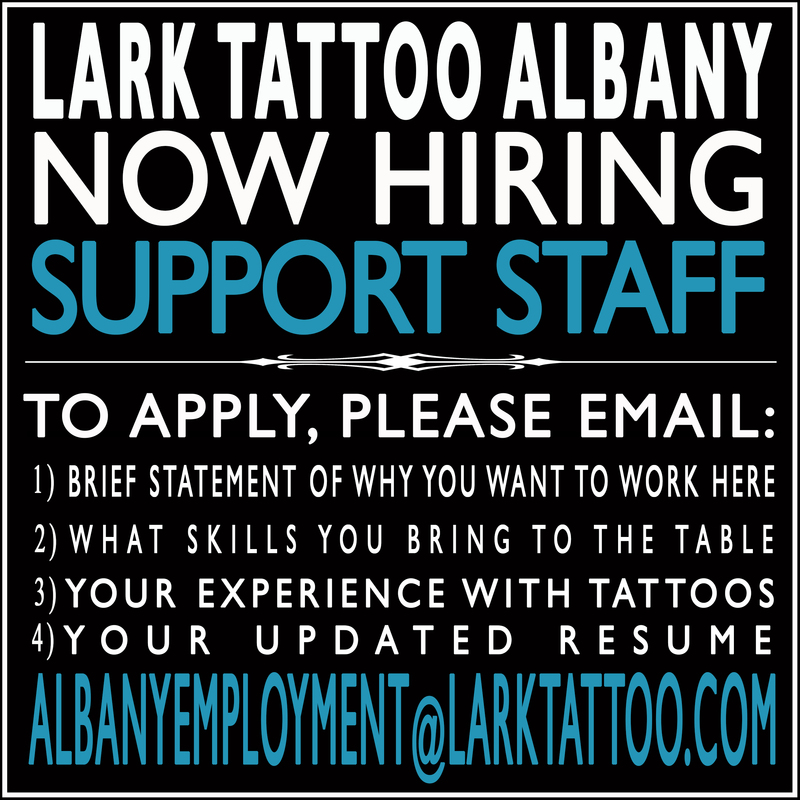 Lark Tattoo, Albany, NY, is looking to hire SUPPORT STAFF (front counter person/ back end sterilization assistant). 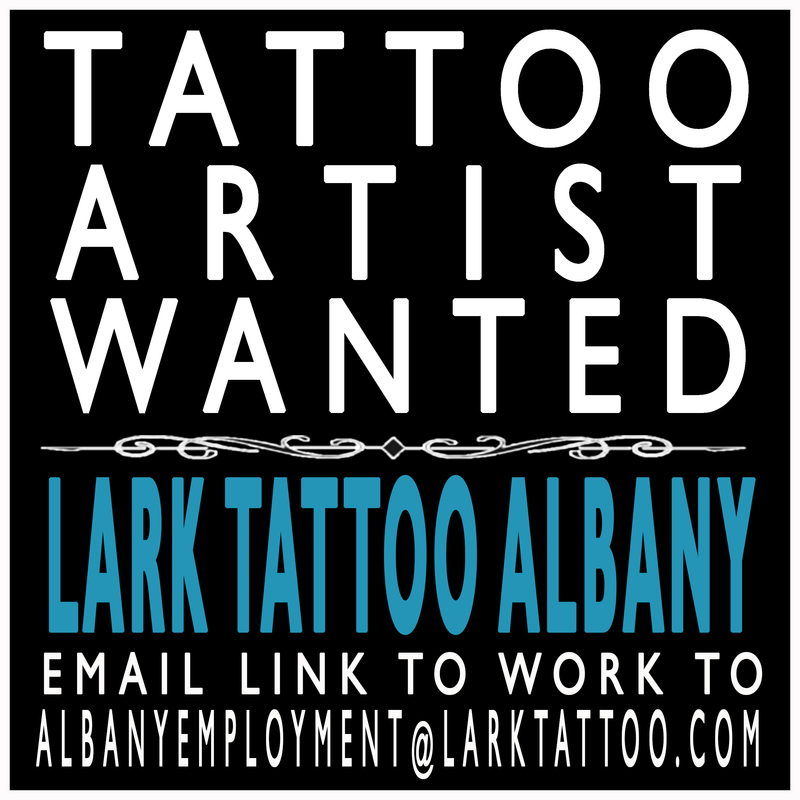 Email us at albanyemployment@larktattoo.com to apply. 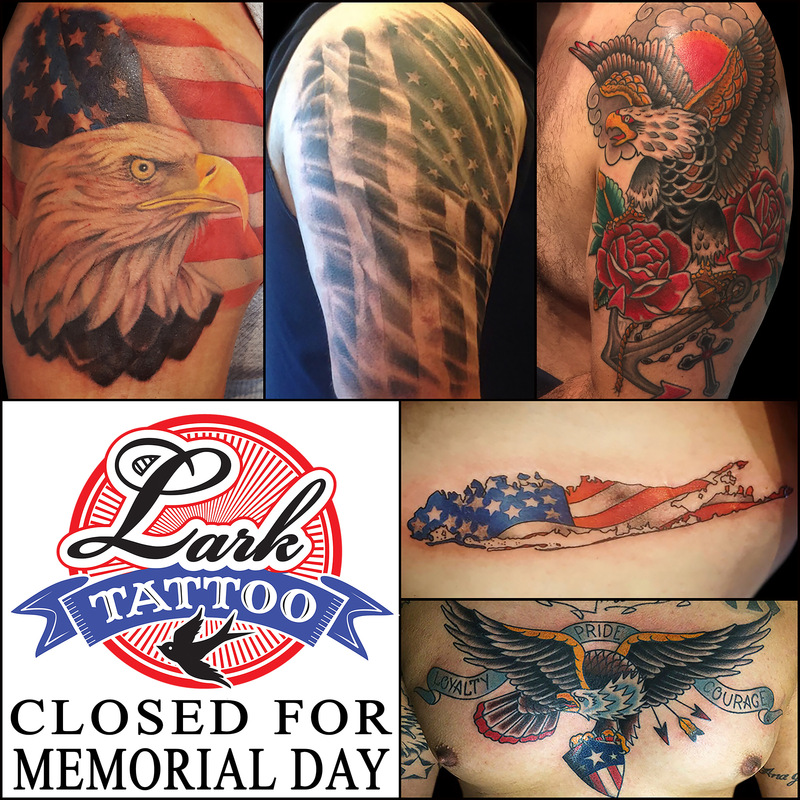 Lark Tattoo will be closed on Monday, May 28, 2018, in observance of Memorial Day. We will reopen for our regular business hours on Tuesday, May 29, 2018. Thank you to all our military personnel, and their families, for the sacrifices you have made for our freedom. 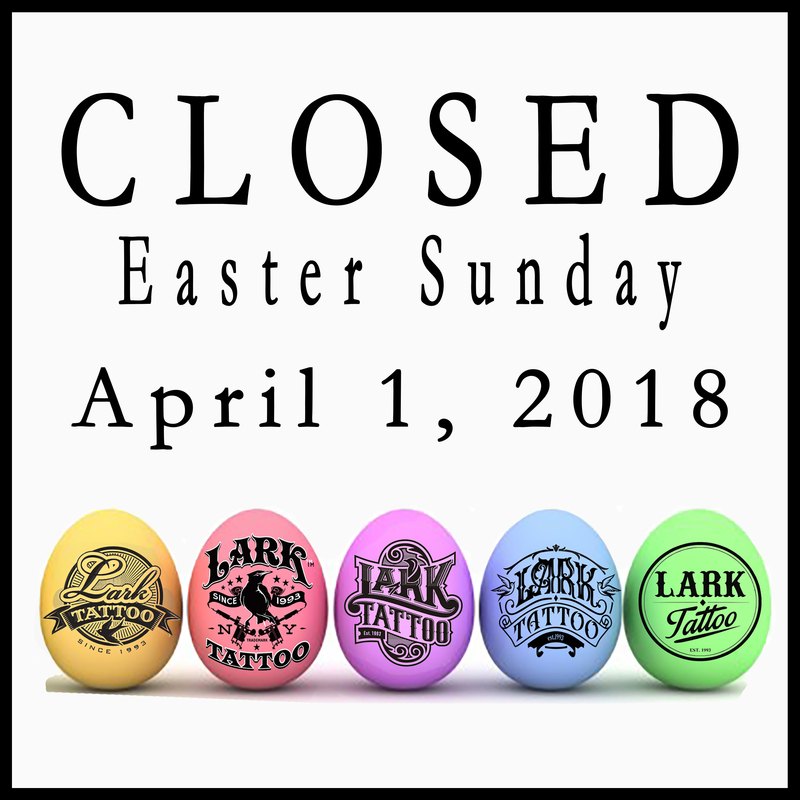 Lark Tattoo will be closed on Easter Sunday (4/1/18). 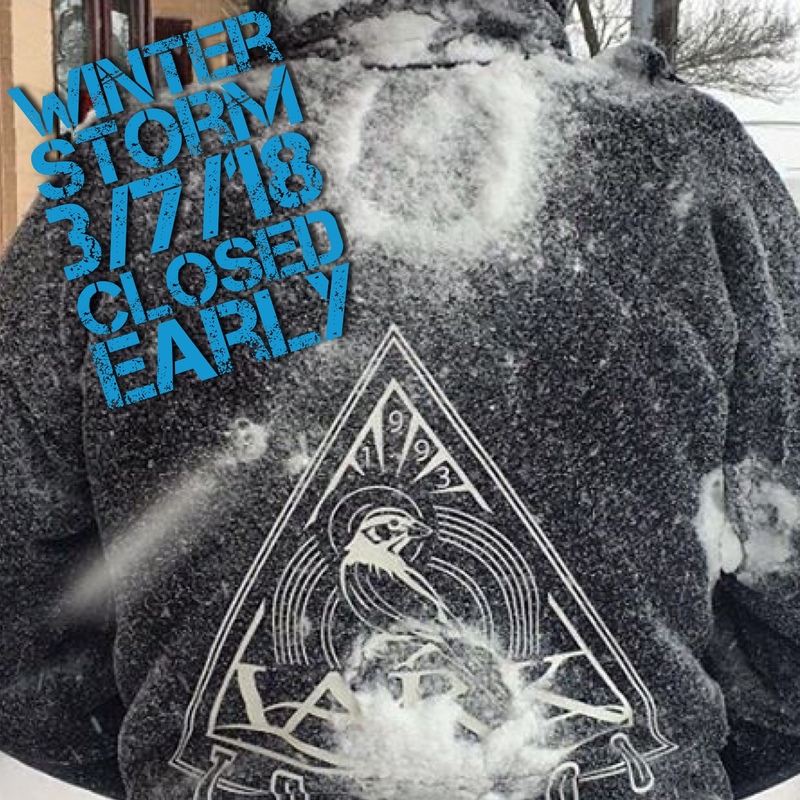 3/7/18: both our Albany and Westbury locations have closed early due to winter storm. 3/7/18: both our Albany and Westbury locations have closed early due to winter storm. Stay warm! 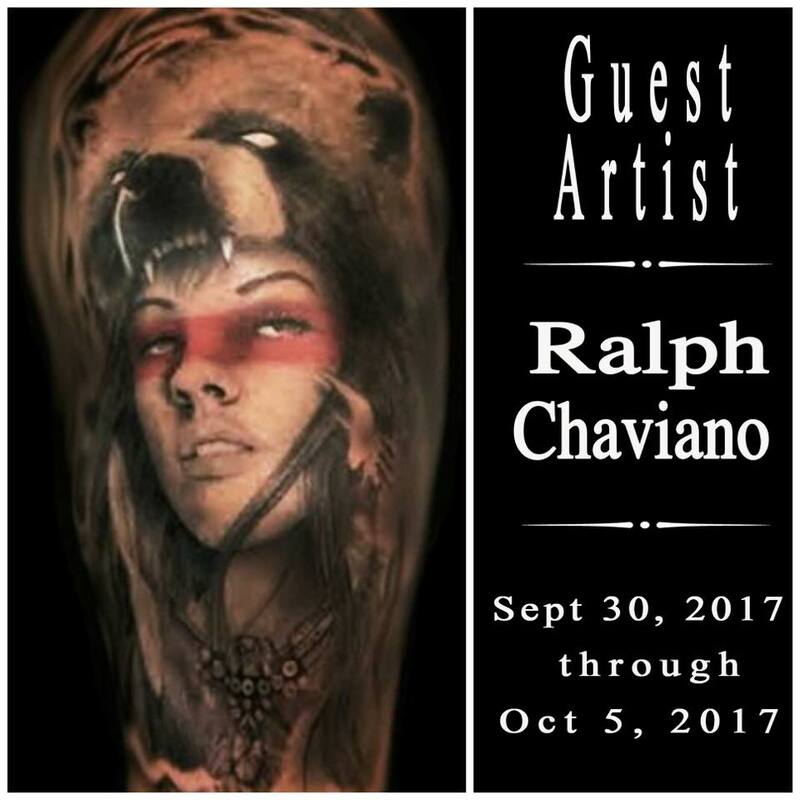 Ralph Chaviano is here to stay! We are CLOSED TODAY, July 4th, in observance of Independence Day. From the Lark family to your family, we wish you all a safe and happy 4th of July! 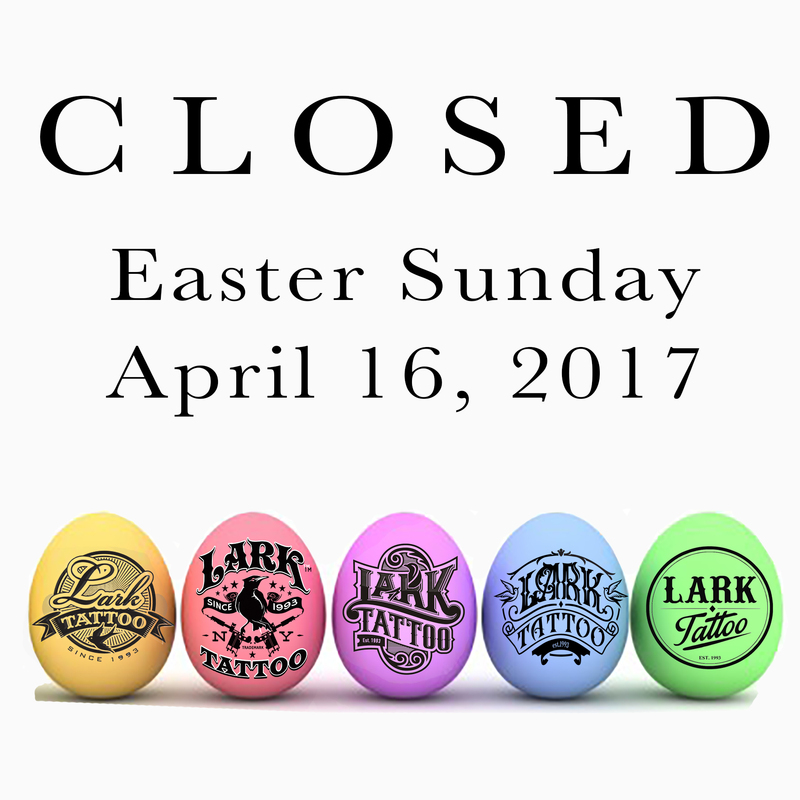 Both the Westbury and Albany locations of Lark Tattoo will be closed Easter Sunday: April 16, 2017. We reopen Monday for normal business hours. The Lark Family wishes you and yours a safe and happy day! 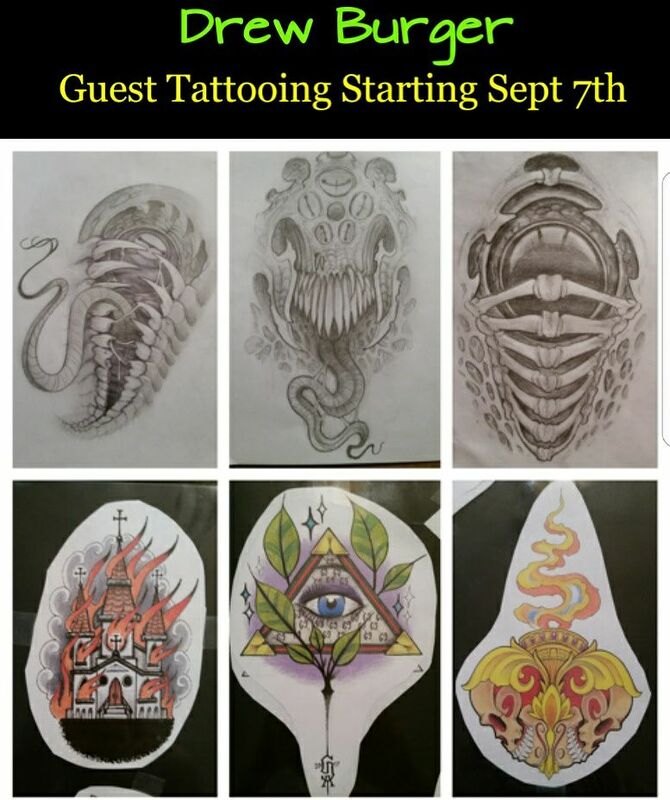 Lark Tattoo is CLOSED for Thanksgiving. We re-open Friday (11/25) at 11am. 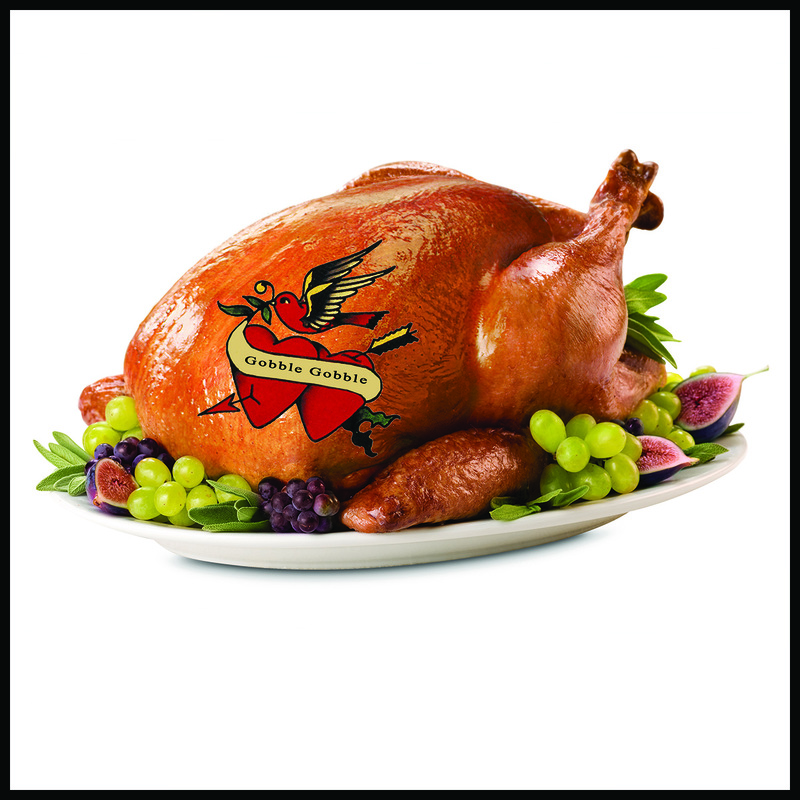 Happy Thanksgiving from the Lark Family to your family! 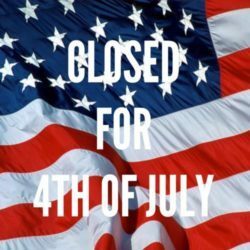 Lark Tattoo is closed for the 4th of July, and will resume normal business hours tomorrow, July 5th. Happy 4th of July from the Lark Family to your family! 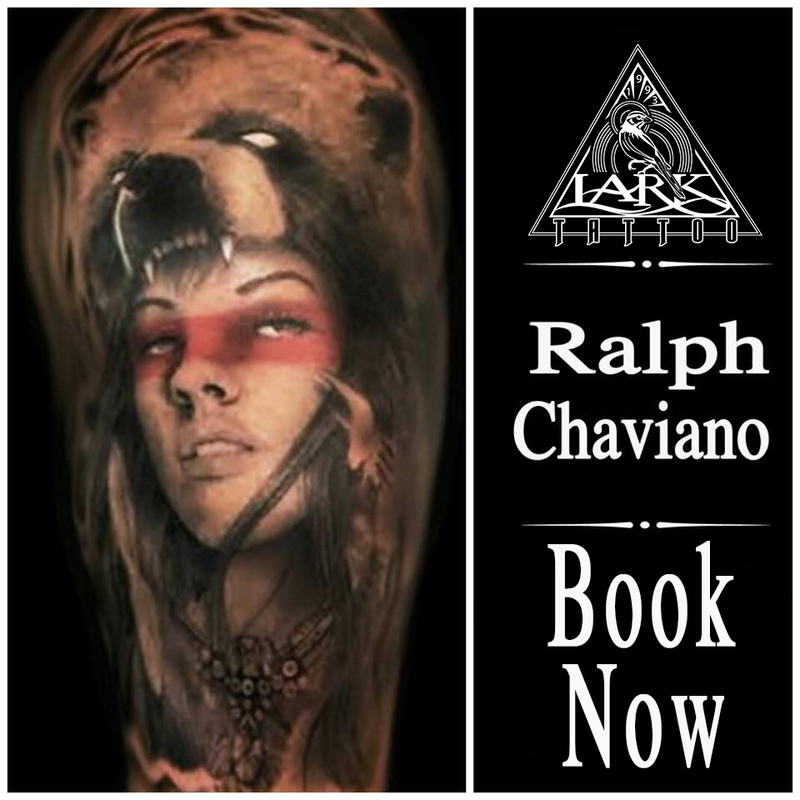 Lark Tattoo is closed in observance of Memorial Day (5/30/16). We deeply express our gratitude to the men and women who have lost their lives in service to our country. 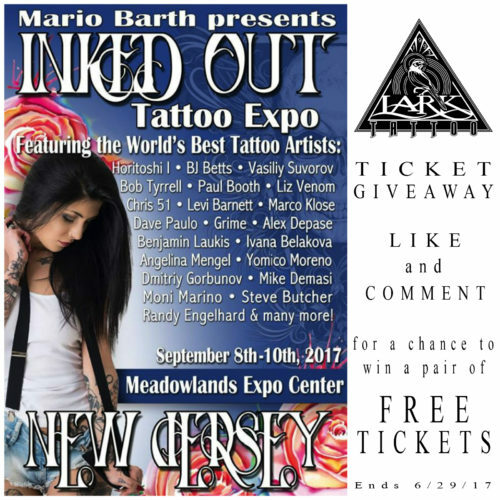 Victory: problem with “Single-use Ink” has been resolved!